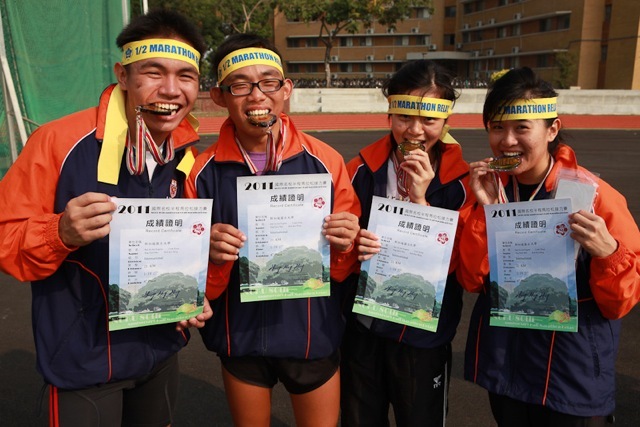 NUS cross-country quartet of Ang Siew Min, Look Xinqi, Alan Koh and Eugene See came in 4th in the National Chung Kung University 80th Anniversary Half-Marathon Relay. 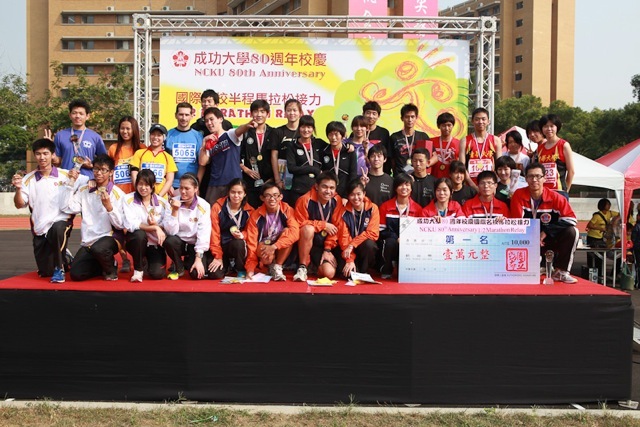 A total of 6 international teams and many other Taiwanese university teams took part in the relay. NUS came in 4th behind Peking University, Peking Qing Hua University and Japan’s Chiba University with a time of 1hr 19mins 27secs, beating Osaka University and Chinese University of Hong Kong. 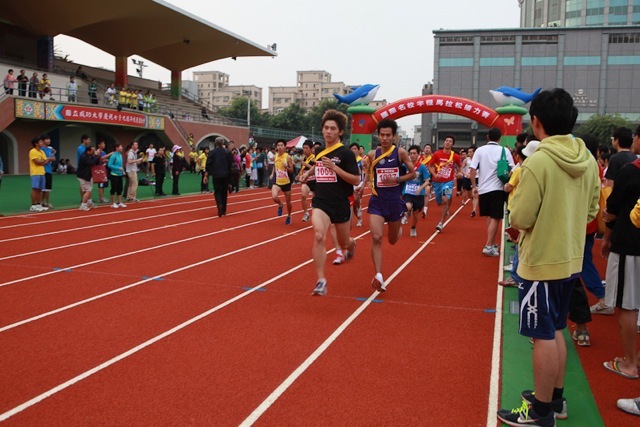 The winner, Peking University was anchored by the champion of the half-marathon at the 2009 World University Games. Looking at the line up the night before, the team was hesitant if they could even make top 6. On race day however, the team got off to a good start with first runner Eugene See coming in 7th at the exchange. 2nd runner Look Xinqi then overtook 2 other girls in front of her to come in 5th passing on to the 3rd runner Ang Siew Min (Captain), despite feeling under the weather, Siew Min hung on to 5th and handed over to Alan. Alan picked up his pace and overtook the anchor from Osaka University to come 4th. 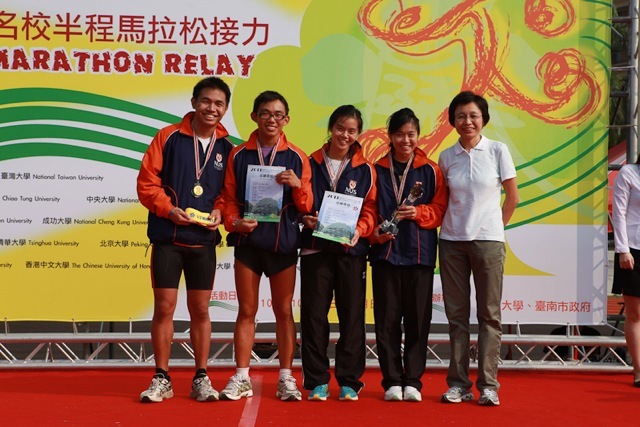 It was a fantastic result for the quartet as besides Siew Min, all other 3 runners are in their first year in NUS and the team’s first exposure to an overseas race. Photos and report courtesy of NUS.